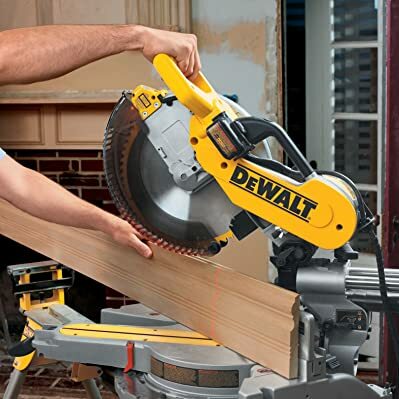 DeWalt has always been a heavyweight in the tools industry, with the DWS780miter saw being another hard hitter. This saw can get to work immediately making excellent chopping or sliding cuts as you need. One of the main advantages you’ll get from this model is the XPS guide system that gives off an LED light similar to a laser to show where your blade will last. The system doesn’t need to be calibrated when it arrives or when you change saw blades as it is set up to work in a different way than a traditional laser guide. A 15-amp motor runs this saws and allows for strong power in your cuts. 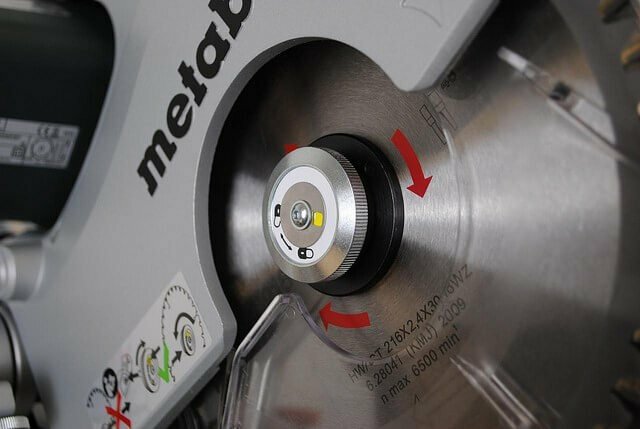 With the included blade you get power up to 3,600 rpm, strong enough to get your through any crosscutting, miter, bevel, or chopping cut you have to do. 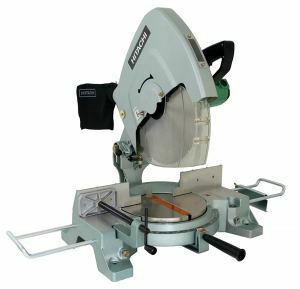 This 12 inch saw has the capacity to cut vertical crown molding of up to 6 5/8” in height and to cut 16” boards with straight crosscuts. The miter and bevel adjustments are simple to make with just a quick move of the lever. For ease of use, the miter has a total of 11 positive stops to help you quickly set your saw to many common angles. You can set the angle from 0 to 50 degrees on the right side or 0 to 60 degrees on the left side for a full range of cuts. The bevel is similar with 9 total positive stops and the ability to tilt from 0 to 48 degrees to the right or the left. 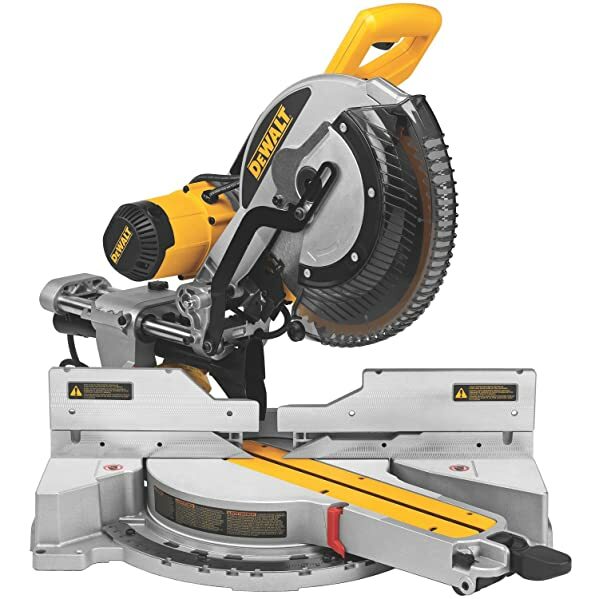 This DeWalt 10 inch miter saw makes a powerful cut in 4 different ways: chopping cuts, sliding crosscuts, miter cuts, and bevel cuts. You can work the saw to bevel between 0 and 48 degrees to the left and to the right in order to make your projects much quicker and easier, especially when working with molding. The built-in fence is taller than you’ll find with many other 10 inch saws, allowing you to work with up to 6 ¼” crown molding resting vertically instead of horizontally on the table. Make straight cuts on boards up to 12” wide. Miter cuts are easily accomplished on the 717, and you can miter the saw from 0 to 60 degrees to the left and 0 to 52 degrees to the right in order to cut whatever you need to at the jobsite. 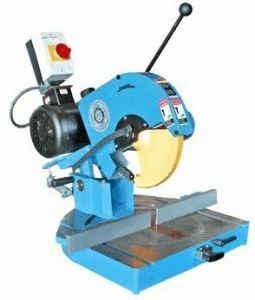 When you want to move around with your saw, it is compact enough to be easily carried around with you. Weight just about 51 pounds, you’ll be able to lift this sliding compound miter saw with the built-in carrying handles and relocate it to the best position possible whenever you need to. Choosing a sliding compound miter saw is not as easy as you might think. Trade-offs between performance and portability, power and cost, or features and bare minimums can be hard to balance! Some of the smaller 7 1/2 inch or 8 1/2 inch saws might be easier to take around with you, but are they capable of handling the same jobs that a 10 inch or 12 inch miter saw can do? Equipment testing performed by major US woodworking authorities show that the differences aren’t exactly what you might think and that the decision might not come down to the extremes that you imagine. 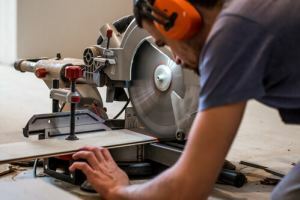 Read on to find out a bit more about what separates saws the most between sizes and models. The table above shows the typical capacities of the average miter saw in separate sizes. As you can see, all of the saws have the capability to crosscut a 2×12 board. They can all do this even at a 45 degree bevel in either direction. The largest difference between the sizes of miter saws comes when you are making cuts on taller work, such as with crown molding or baseboards. Smaller saws require these items to be cut while lying on their sides, while larger saws can cut them standing up against the fence. Standing cuts on molding are generally more accurate and much easier to do, giving the larger saws an advantage in this area.The reality of the different sizes of compound miter saws is that they don’t make as big of a difference as you might think, with the only main difference showing in the thickness of the cut. You can make many of the same cuts with small saws as you can with the large 12 inch saws, but you may have to do some of them differently. Bevels on smaller saws are usually a little harder to read, and they may not show the exact degrees of the angles as there is less space. 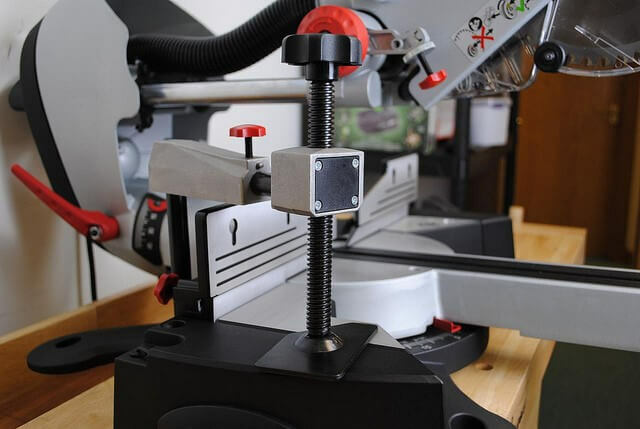 Larger saws give more information about the angles you are beveling at, which might come in handy for small, precise cuts that come with fine-tuning your work. It’s important to remember that the difference in prices of various saws do not always make a huge difference in the quality of the saw. As you can see in the above graph, there is a huge difference in the average high and low prices of 7 1/2 inch saws and 12 inch saws. Would it surprise you to know that these two saws have virtually the same cutting power? 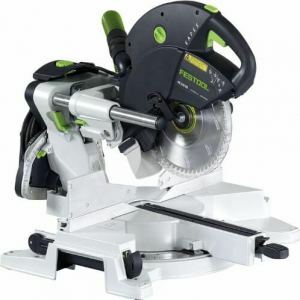 The reason for this is that a smaller blade does not need as much engine capacity to cut through the same wood as a larger blade does, making the differently sized motors ideal for each particular saw size. 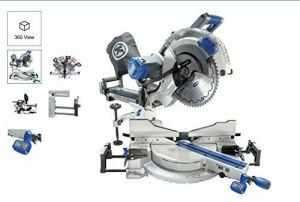 One of the main things that affects the price and performance of the saw is the amount of features included with the saw. While larger sliding compound miter saw come with laser guides and other really handy features, smaller sizes usually do not have any extra features to help you out. This can make a big difference in the quality of your work and the amount of time the job will take to get it done right. Example of a miter saw built-in hold-down clamp. 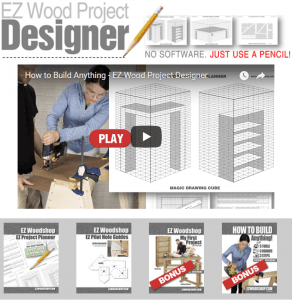 In the end the decision is up to you and how you need to use your miter saw. If you need a more portable saw to carry around with you, consider a smaller saw. If you need a saw with the largest cutting capacity and the most features, look for a 12 inch saw. But, if you don’t have any special requirements than a 10 inch saw might be ideal. 10 inch saws can cut and bevel in a nearly identical way as 12 inch saws with many of the same features available. They are also cheaper and easier to carry or store. Those that won’t need to cut anything thicker than a 8/4 stock could even benefit from using a smaller saw, as long as added features aren’t a huge deal to you. Saw blades are generally less expensive the smaller they are, meaning that 12 inch blades are usually the most expensive while 7 1/2inch blades are usually least expensive. All of these factors might influence your decision, but you should decide what you’re most comfortable with and figure out what you can use to get the job done right. Whatever you think solves your particular needs in the most efficient way is probably the right saw for you to purchase. 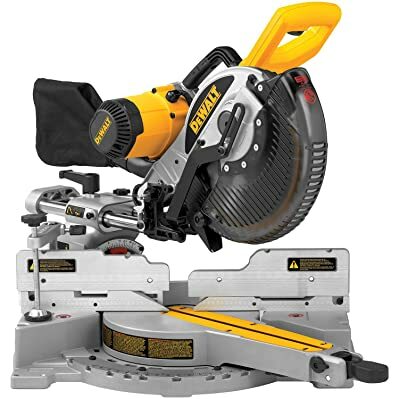 i ran my 718 dewalt slide compound miter saw with the blade loose and now with a new dewalt blase it vibrates when I run it. What can i replace to fix it. Sorry for the delayed response, we are more than happy to answer this question for you. Did you bend your blade when you ran it loose? Can you remove your blade and let it run to see if the arbor is bent? 3. Tighten your blade and washers. Those are more than likely one of your issues that can cause the blade to vibrate or wobble. Let us know—we will get this figured out!